Editor's Note: This 10-part series looks at issues critical to entrepreneurs this election season. Read installments on the economy, taxes and healthcare. 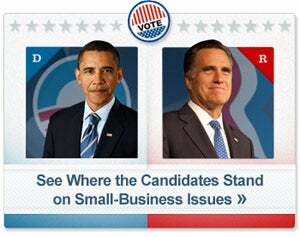 Neither President Barack Obama nor Republican nominee Mitt Romney has spent much time on the campaign trail talking about how they will help entrepreneurs gain access to the funding they need to launch, sustain and grow their businesses. But perhaps they should. One of the most hotly contested issues of the campaign is the stubbornly high unemployment rate, and small businesses -- popularly referred to as the nation's engine of job growth -- can create jobs when they get access to capital at affordable interest rates. While lending to small business has picked up in recent years, it remains below pre-recession levels. The lack of attention recently prompted Multifunding, a small-business loan consultant in Broad Axe, Pa., to send a newsletter to about 10,000 business owners, with the question: "So, we were just wondering...why aren't they talking about getting us more loans at fair prices?" The newsletter goes on to say, "our candidates are pretty quiet when it comes to new ideas." In one of the few instances where either candidate brought up access to capital this campaign season, Obama recounted last week to Florida radio station Power 95.3 about his weekend visit with the owner of the West Tampa Sandwich Shop & Restaurant, who racked up credit-card charges years back to launch the Cuban eatery. "And I am saying to myself, ‘A guy like that, who now has had his shop for 20 years, he should have been reached out to by the SBA and he might have saved himself a whole lot of money and been able to expand a lot faster,'" Obama said on the radio show. The theme of the Republican platform is smaller government that gets out of the way of the private sector. Given that, it's perhaps not surprising that Romney has talked little about ways the government can increase funding to small business. At a stop in Ohio, Romney did advise a group of students that would-be entrepreneurs should go to their parents for start-up capital. 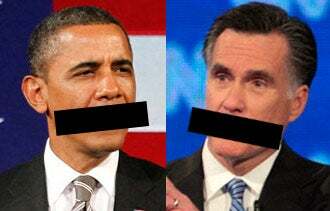 Romney's comment, however, was later turned into a dig at his affluent background, which the opposition claims makes him unable to connect with working-class Americans. "Gee, why didn't I think of that?" mocked San Antonio Mayor Julian Castro at the Democratic National Convention in Charlotte, N.C., earlier this month. "Some people are lucky enough to borrow money from their parents, but that shouldn't determine whether you can pursue your dreams." But wealthy image aside, Romney has first-hand knowledge of business finance that few politicians have. As a co-founder of Bain Capital -- a financial conglomerate that includes venture-capital, private-equity and public-equity divisions -- Romney made a career turning companies around. The Romney campaign highlighted four companies that Bain Capital invested in during Romney's tenure that have created more than 120,000 jobs. "Unlike career politicians who've never met a payroll, I know why jobs come and go," said Romney in an op-ed he wrote for USA Today. While Romney has not released any specific proposals to directly help entrepreneurs gain access to capital, in an op-ed that Romney penned for the Wall Street Journal, he said that he would increase entrepreneurs' access to capital by reducing their taxes, eliminating the health-care overhaul and decreasing regulations. The Obama campaign has been thematically focused on supporting and growing the middle class, defending his health-care reform and keeping taxes low for the middle class. Access to small-business capital hasn't been a talking point, although the President during the past four years took a number of actions designed to boost lending. Shortly after he came into office, when the credit crunch had nearly completely frozen the flow of capital to small businesses, President Obama passed a stimulus measure that sweetened the loan terms and conditions of Small Business Administration-backed loans for banks and borrowers. In the wake of the popular measure, the SBA backed a record $30 billion worth of loans in its 2011 fiscal year. But SBA-backed loans represent only a small percentage of small-business loans. Another attempt by the Obama Administration, this time to encourage community banks to lend more to small businesses, was by most accounts a major flop. The $30 billion Small Business Lending Fund, the centerpiece of Obama's 2010 Small Business Jobs Act, doled out only $4 billion to banks – and many used the funds to repay TARP funds, not lend to small business. This April, the President passed the JOBS Act, which contains a popular provision that allows entrepreneurs to raise money through "crowdfunding," that is, selling equity to anyone who has the cash and interest, not just to accredited investors. Many of the JOBS Act provisions, however, still require action from regulators before they are effective. How has your experience been getting access to capital, whether that's a loan, a line of credit or equity financing? Leave a comment below and let us know.